Friday, Sep. 30, 2016, 4 – 5:30 p.m.
New to UW? Interested in pursuing a STEM field? Want to meet other women on the same journey? Come to our 2016 Fall Welcome! 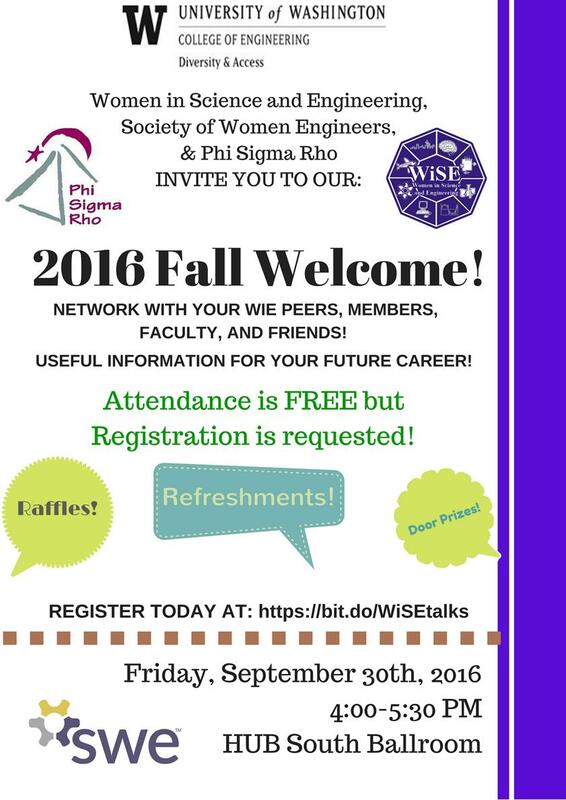 WiSE, SWE & Phi Sigma Rho are teaming up to welcome you to UW and we would love to see all the new students there.